Euro is starting new correction, which was quite expected. After completing it, price may start falling down towards the group of lower fibo-levels at 1.3465 – 1.3455. I’m holding two sell order and in the future planning to add more. 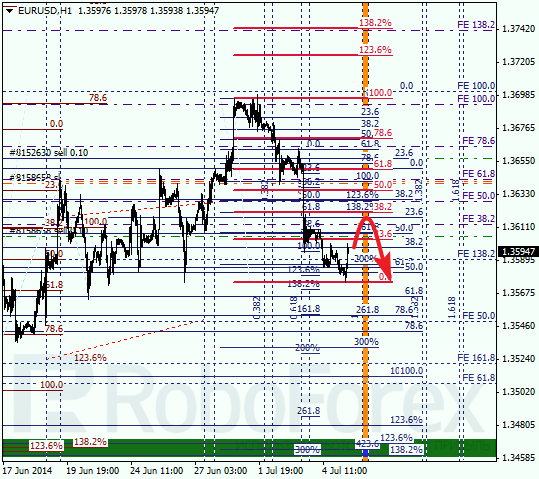 As we can see at H1 chart, target for current correction is at local fibo-level of 38.2% (1.3620). Possibly, price may reach this level inside closest temporary zone. If market rebounds from this level, I’ll open another sell order. Franc is also starting new correction. 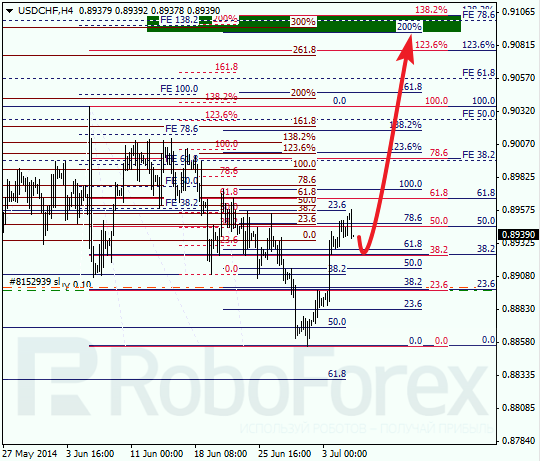 Main target for bulls is still the group of upper fibo-levels at 0.9105 – 0.9095. I’m holding my buy order with stop loss in breakeven. In the future, if pair starts new growing up again, I’m planning to increase my position. 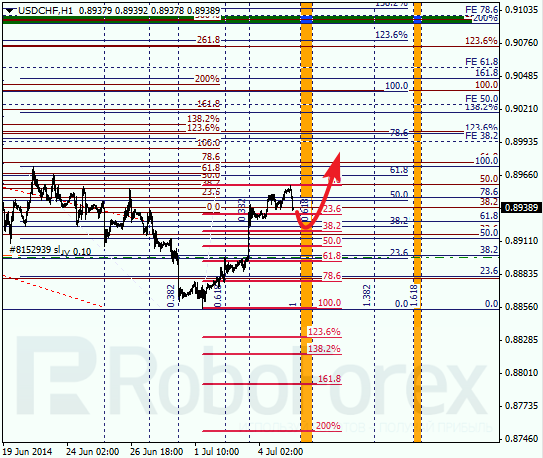 As we can see at H1 chart, target for current correction is at local fibo-level of 38.2% (0.8920). According to analysis of temporary fibo-zones, price may rebound from this level during Monday.